Situated just 20 miles outside of Boston, Sudbury is one of the most historic towns in Massachusetts. This rich, illustrious history can be seen, heard, and felt throughout the community – in its architecture, in its centuries-old landscape and foliage, and in the small-town, tight-knit feel amongst the residents. 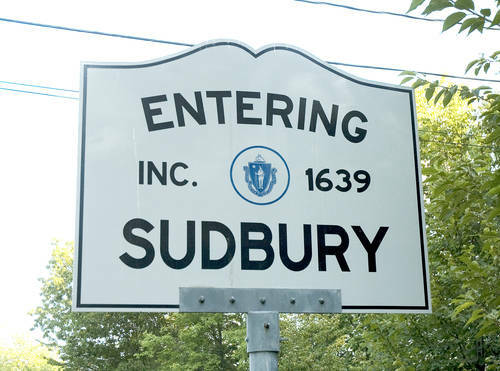 Incorporated nearly 400 years ago, Sudbury has been around for quite a while. Its militia men participated in historic battles, like King Philip’s War, the Battle of Lexington and Concord, and more, and it’s even home to some pretty big landmarks, like the Wayside Inn. Immortalized by Henry Wadsworth Longfellow, the Wayside Inn was purchased by Henry Ford in the early 1900s. It is still a functioning inn to this day. To get a glimpse of the town’s history, residents need only walk down to the Sudbury Center Historic District which, with dozens of storied buildings and structures, hasn’t changed much in the last 100 years. It was even listed on the National Register of Historic Places in 1976. But Sudbury isn’t all in the past. In fact, the town has grown significantly since its long-ago beginnings. When the first census came through in 1790, Sudbury was home to just 1,200 people. Today more than 17,000 residents call Sudbury, Massachusetts their home. It’s no wonder why, either. Sudbury has nearly everything a resident could want. In fact, in 2005, NeighborhodScout named it the best towns in the state to raise a family. But why is that and what does it have to offer? Well, for the kids, there are opportunities for baseball, basketball, cheerleading, drama, swimming, dancing, Girl Scouts, Boy Scouts, Cub Scouts and more. The local parks and recreation department even hosts regular ski trips to nearby Nashoba Valley Ski Area. But there’s plenty for the adults to do in Sudbury, too. There are loads of organizations to join, including the Knights of Columbus, the League of Women Voters and the Historical Society, and The Greenwood Club offers swimming, tennis and diving year round. Students in the area attend Sudbury Public Schools, which serve only kindergarten through eighth graders. For high school, children attend Lincoln-Sudbury Regional. For vocational or technical education, they can also apply for Minuteman High School, located in nearby Lexington. Lincoln-Sudbury boasts an 8 out of 10 rating on GreatSchools, and with an extremely low student-teacher ratio, it’s no surprise. Students in the district also show great test scores, with 97 percent proficient in English and 94 percent proficient in math, according to state standards. As far as real estate goes in Sudbury, the average home runs around $700,000, with limited opportunity to find a smaller property in the $300,000s. A more spacious home will run upwards of $1 million. The area is also rife with acreage if going custom is more your style. Regardless of which route you choose, you’ll find Sudbury to be an extremely viable choice. With ample opportunities for fun, family and education, it’s a true gem on the Massachusetts map.